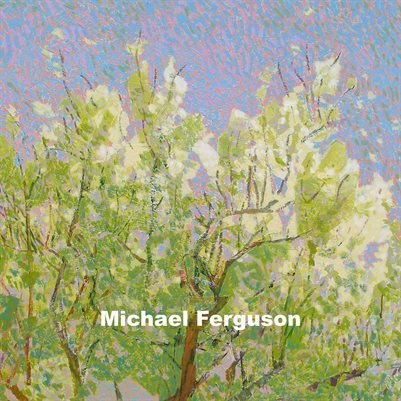 Michael graduated from the Burnley School for Professional Art, now the Seattle Art Institute, in the late 70s, and worked first for Battell as an illustrator and then for Boeing as a cartoonist. In 1988 he began to pursue fine art full-time. As a northwest native, he is influenced constantly by its rich and varied landscape. He follows the centuries-old artistic tradition of landscape painting, bringing to life thoughtful and vibrant interpretations of the place he lives. His painting approach is basically representational, though realism can turn into a fractured multi-color approach. Subject often influences Michael’s style and brushwork. He finds field painting has been a crucial direct contact to the landscape that illuminates later, more introspective studio work. Although he has spent some years exploring linocut, painting defines his art life now. He captures personal everyday scenes and the landscapes he frequents. No event or situation is too insignificant for him to attempt to realize it in a painted expression. “Always working” is his byword.